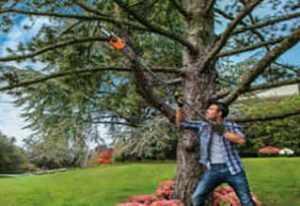 All in one, multi purpose tools like the BLACK+DECKER LSTE525 are the best of both worlds and the perfect choice for small residential yard work. This trimmer & edger combo unit is powered by a 20V battery (plus a backup to avoid downtime) and has the juice you need to get the job done – at a price under $100 (from $92.07)! If you’ve been having difficulty getting your grass to a uniform cut level with your mower alone, you need to do a bit of “touchup work”, the BLACK+DECKER LSTE525 Review is exactly what you should be looking for. An almost too good to be true piece of landscaping equipment that won’t cost you an arm and a leg (to purchase or to use on a regular basis), this electric grass trimmer may not be able to tackle the biggest jobs or the heaviest duty workload – but it more than gets the job done when you need to get your lawn looking as uniform and picture-perfect as you were hoping it would. At the end of the day, everyone knows and recognizes the Black and Decker brand – and there are an almost infinite amount of reasons that’s true. A manufacturer with a reputation for creating inexpensive but a very reliable and durable tools and landscaping equipment, you’re going to be able to come away with a much better looking lawn thanks to the this combo trimmer. Lightweight, very simple and straightforward to use, and more than capable of tackling the jobs that it was designed for, if you need an electric grass trimmer there may not be a better option available on the planet than this one. Weed eaters can be dangerous! Make sure to use proper safety gear – even for small jobs. We recommend wearing close toe shoes, jeans, tough gloves plus safety glasses! The feature that is going to strike you in regards to the this electric grass trimmer is the fact that it is powered by a 20V battery istead of gasoline. 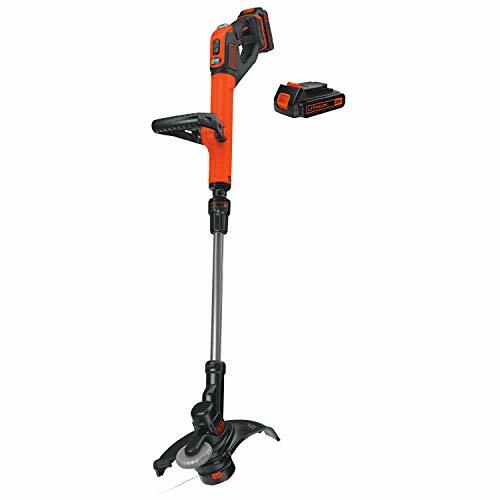 Black & Decker has always been a company focused on looking towards the future and adapting and innovating new technology, and their electric grass trimmer is a perfect representation of that focus. Instead of having to spend a ridiculous amount of money on gasoline each and every time you wanted to fire your trimmer up, you’ll be able to quickly (and almost instantly) recharge your electric grass trimmer batteries and use it for extended periods of time with absolutely no letdown in power or performance. Don’t want to spend all day working on the yard? Make sure to charge the second battery while you are working so you don’t have to wait around with 2 dead batteries! 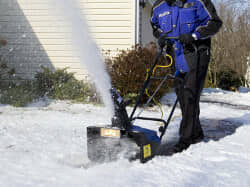 Yes, this means that this model is a little bit “underpowered” when compared to some of the more expensive and robust heavy duty grass trimmer solutions. But if you are just looking to do a bit of evening up, a bit of evening out, or some light landscaping duty you’ll find that this is right up your alley. The biggest benefit you are going to be able to take advantage of right away with this electric grass trimmer is that it will run almost silent during operation, as opposed to the loud mess that all gas options are. You’ll appreciate this when you (or your neighbors) are using it on a bright and early Sunday morning. 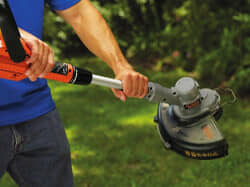 Secondly, because it is so lightweight, you’ll be able to use this particular electric grass trimmer for hours and hours on and with next to no fatigue at all. Combine that with the integrated bump feed spool that feeds as much line as you need automatically for the task at hand, and you’re talking about a piece of equipment that can cut your time spent landscaping down dramatically. Using the BLACK+DECKER LSTE525 is pretty simple and very straightforward. Obviously, you’ll want to first spool of this piece of equipment right out of the box – and you’ll want to charge the battery that has been provided with it while you’re doing so. After everything is good to go, simply snap in the battery pack, walk out to your lawn, and to press the trigger. Don’t forget to charge the spare battery while you work so you don’t have any downtime waiting to recharge!